With its gee-gees pedigree, idyllic setting and standout pub fare, we're backing this front runner in the ace country inns race. 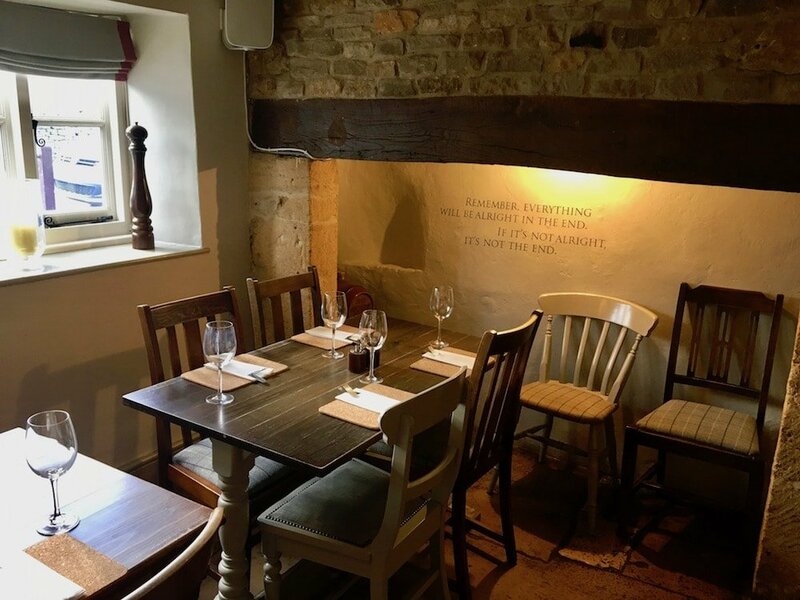 Located in the tiny village of Guiting Power, which is sooo pretty it takes your breath away with its achingly cute honeyed Cotswold stone buildings, The Hollow Bottom is a properly thoroughbred pub. 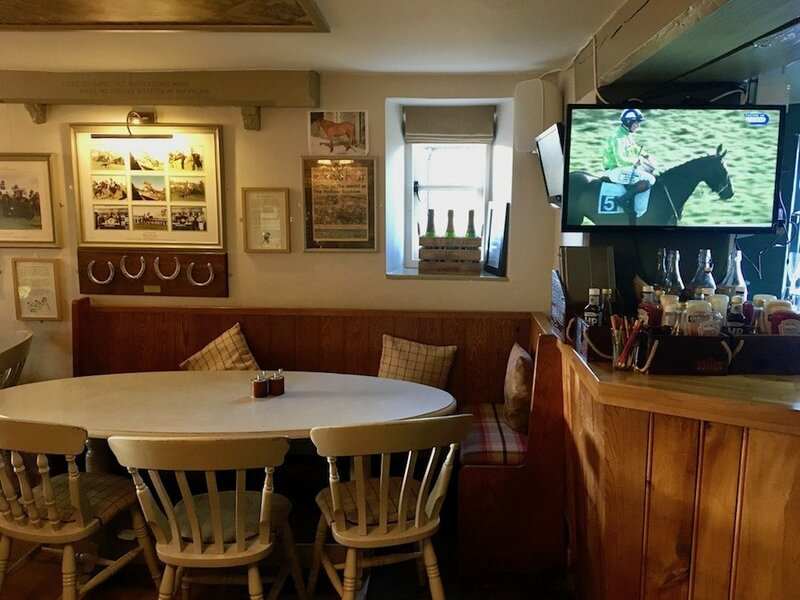 Indeed, before the current owner Hugh took over 18 years ago, it was owned by racehorse trainer Nigel Twiston-Davies and the pub is still a runner and rider among the racing set, especially around Cheltenham Race Week when you’ll be jockeying for space round the TV screens showing all the action. 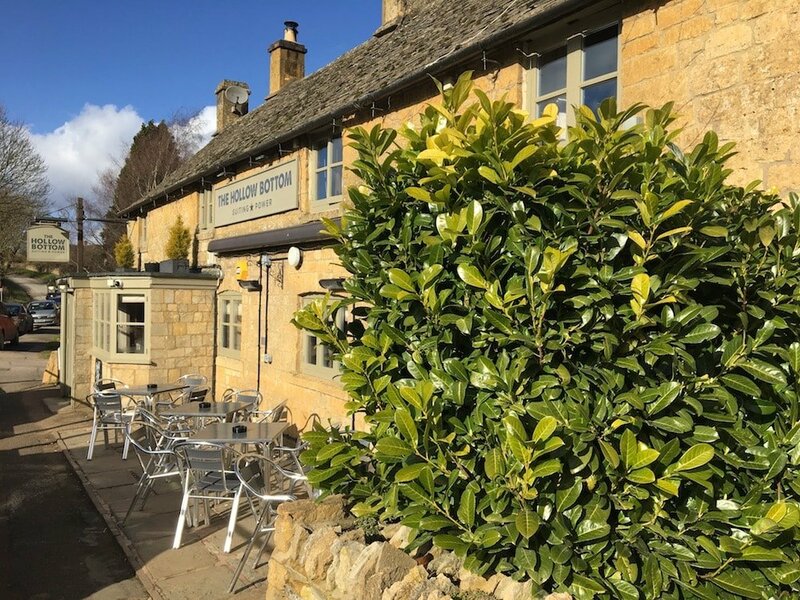 Despite its well-bred demeanour, there’s nothing highfalutin about The Hollow Bottom and on the mid-week afternoon I visited there was a relaxed mix of drinkers and diners basking in the winter sunshine that was flooding through the windows. For a low-ceilinged, olde-worlde building, it’s surprisingly light and bright inside, and the simple, comfy interiors – stone floors, exposed beams, mismatched chairs – make it feel super welcoming. As mentioned, things get a bit more lively during big meets at Cheltenham and also when the local shoots come in for breakfast, lunch and post-shoot carousing. 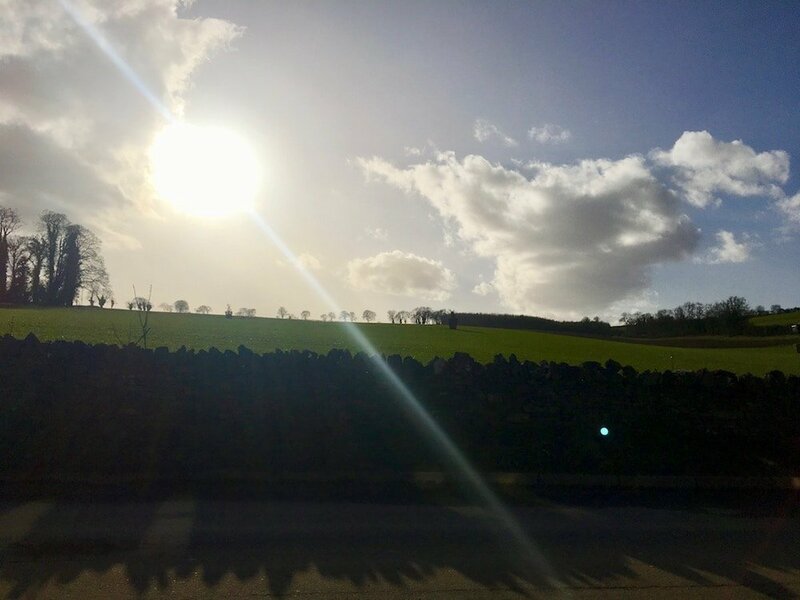 Arriving with two kids in tow, one hungry tween and one sleep-deprived teen, Mr M and I knew there wasn’t much time for dawdling if we were to keep them both on side, and I’m glad to report that the service was quick, efficient and very friendly. Before we knew it we were sharing a lip-smacking platter of tiger prawns cooked in chilli and garlic butter, closely followed by our mains. The youngest mudlet, who has an impressive appetite even when she’s not ravenous, opted for roast pork. 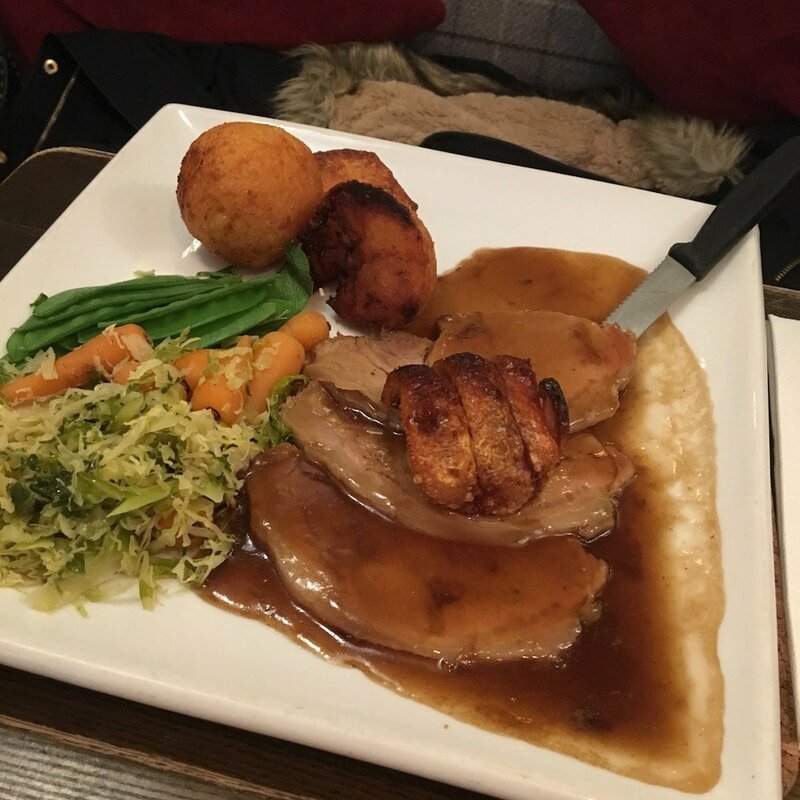 The pub serves a couple of roasts EVERY DAY and offers the full complement on Sundays. It was HUGE and she polished it off with gusto, oohing and ahhing about how ‘a-maaazing’ it was. Phew, one child restored to equanimity. 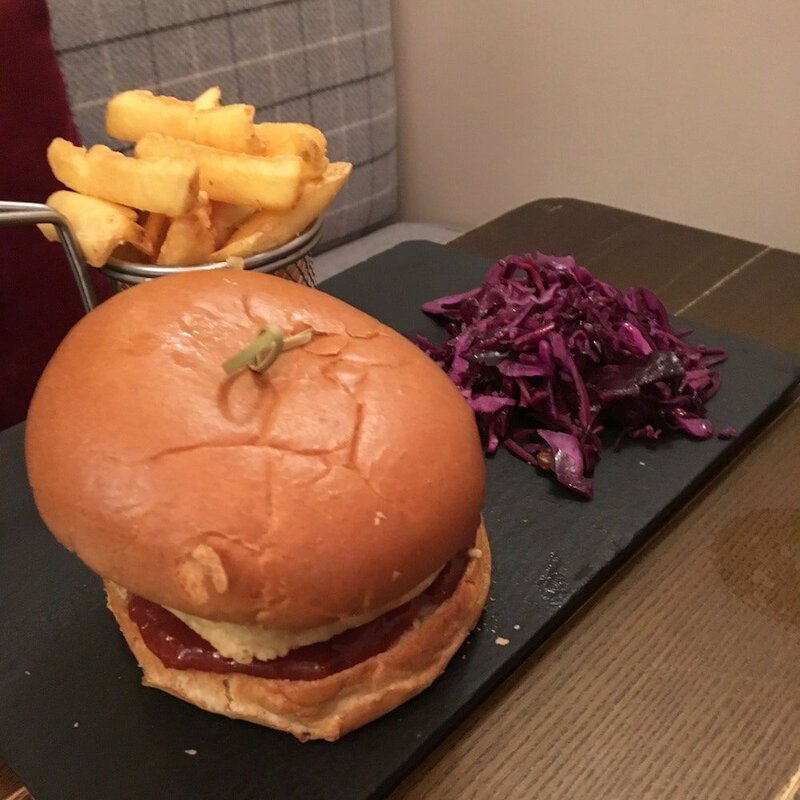 The middle mudlet also brightened up when his burger arrived, served in a brioche bun with fries and slaw, and in his monosyllabic way muttered that it was ‘dank’. 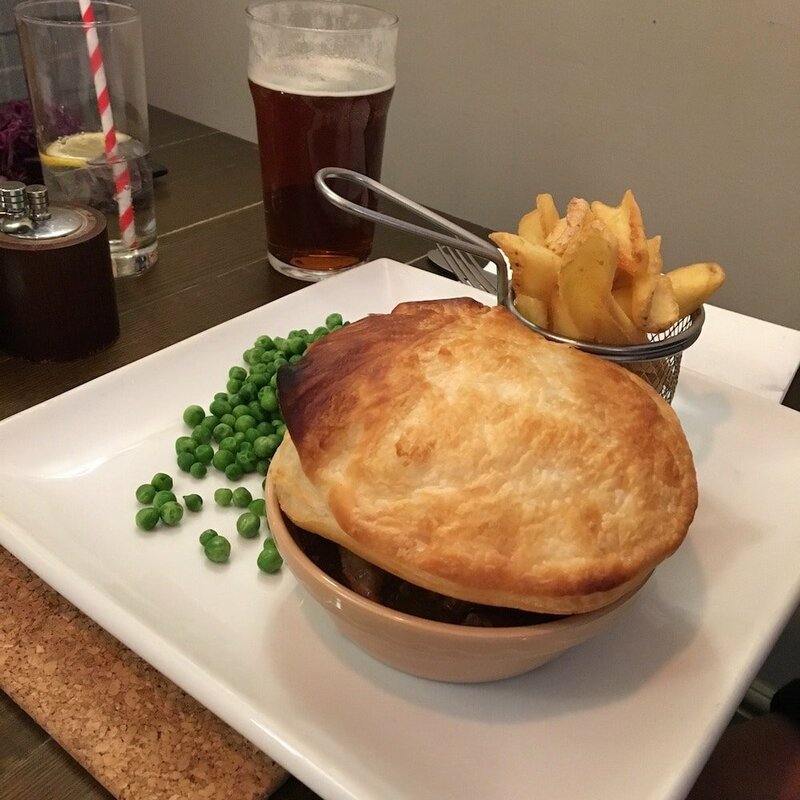 Mr M opted for the venison pie with fries and peas washing it down with a pint of Ruddles, which brought a nostalgic tear to his eye. He pronounced it a classic – not too heavy on the pastry and plenty of melt-in-the-mouth filling. I’m in the gluten-free tribe which usually limits my choices, especially in pubs, but here I was presented with a special menu which went on for pages! I excitedly ordered the strips of fried chicken fillet in batter with slaw and sweet potato fries. Hurrah, I didn’t have to have a salad! And, mmm, was it good. 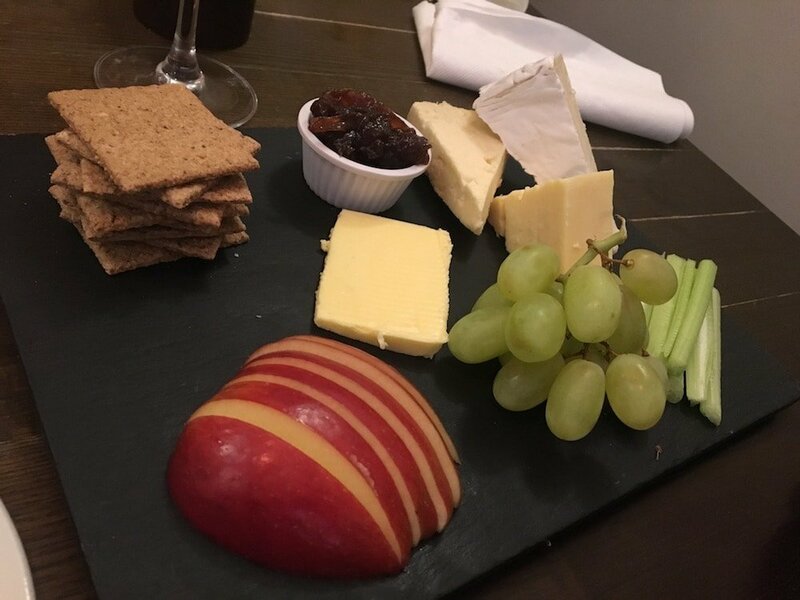 Mr M went for his usual cheese board which was so large you could have put it out at a dinner party. Not quite sure how he cleared the slate, but he did. What a hero. 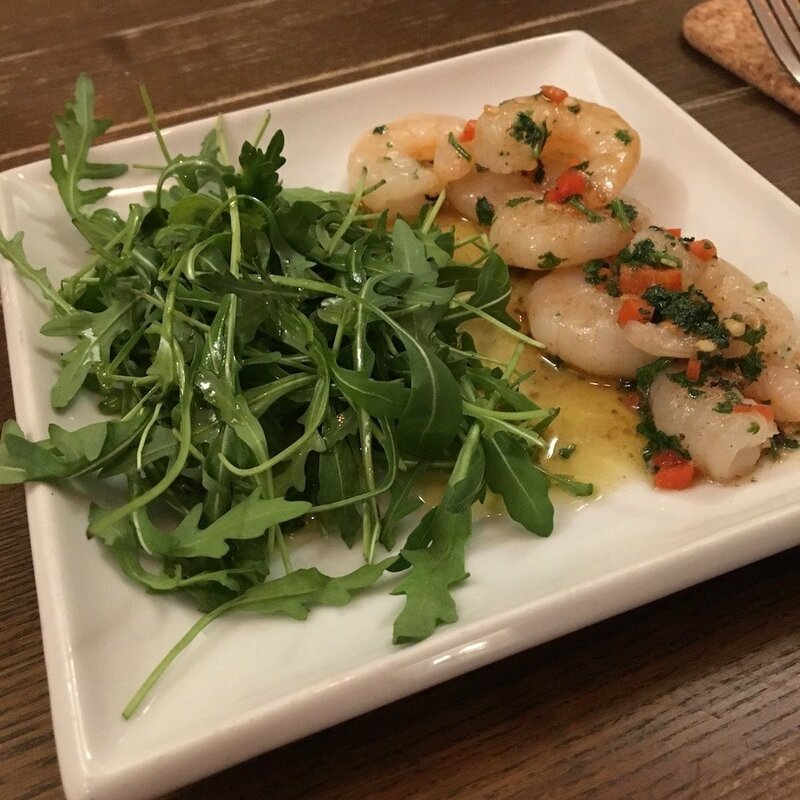 The chef, Karen, has recently taken over the helm in the kitchen after being second in command for 17 years, and she really knows her onions (and other foodstuff), cooking up meals that hit the right balance of restaurant quality and classic pub simplicity. Basically, it’s no-nonsense, very tasty fare that puts a smile on your face. 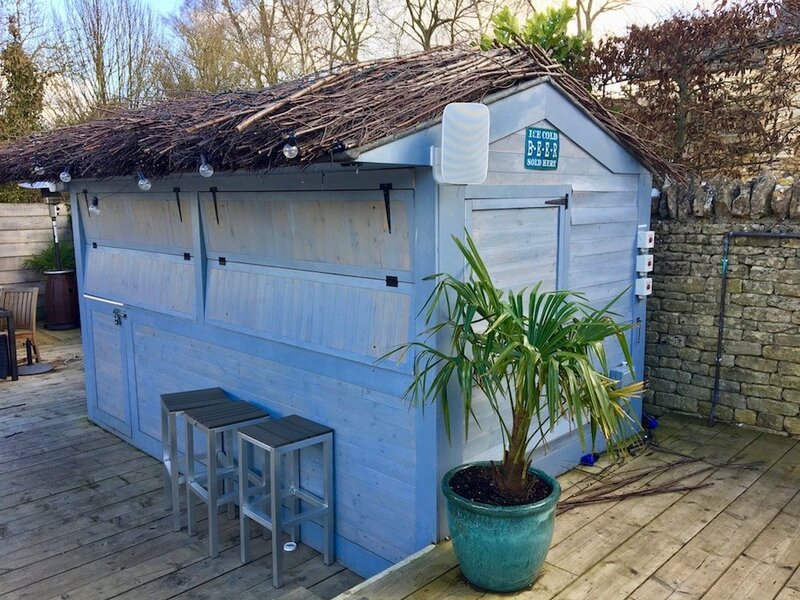 There’s a fab decked area out back with a beach bar that comes into its own when the weather warms up and the barbie is fired up. For special events, such as during Race Week, the space is covered with a marquee and can fit around 20 tables and 120 people. I’m thinking nice wedding venue – and so do a lot of other people! 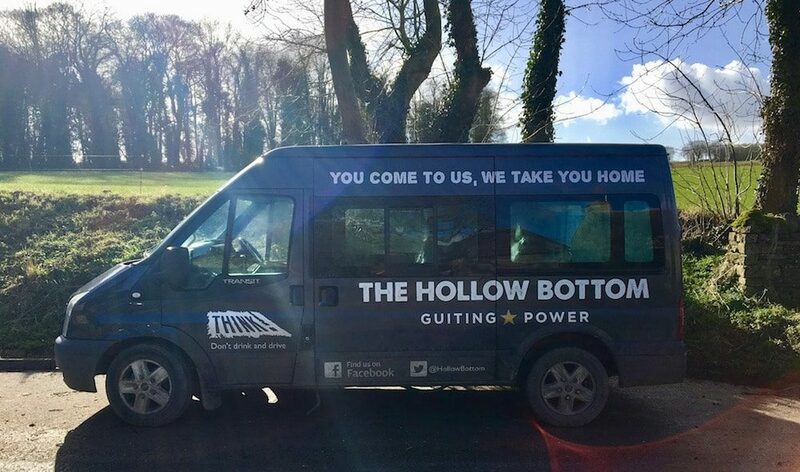 The pub also has its own bus that on weekends will take you home if you’re within a ten-mile radius (Cheltenham included) which sounds like an excellent option if you’re up for a big night. And then you could return for your car in the morning and have brunch. There are also five rooms you can stay in. Extremely. 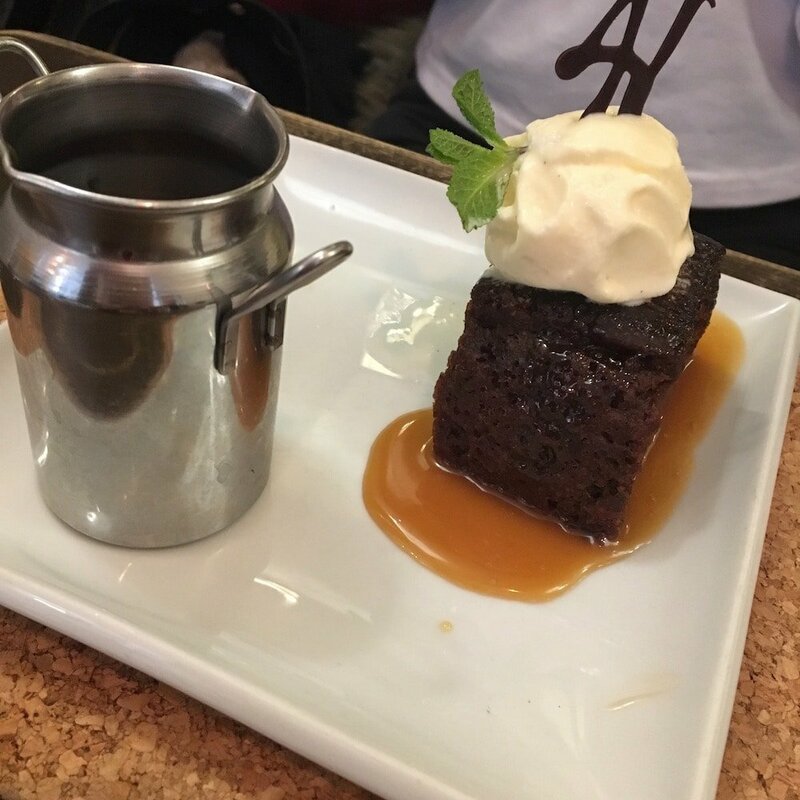 The laid-back vibe and kid-friendly food (for under 12s there’s a children’s menu for £6 including drinks and ice cream) make it a great place for families. Dogs are also welcome even in the overnight accommodation. 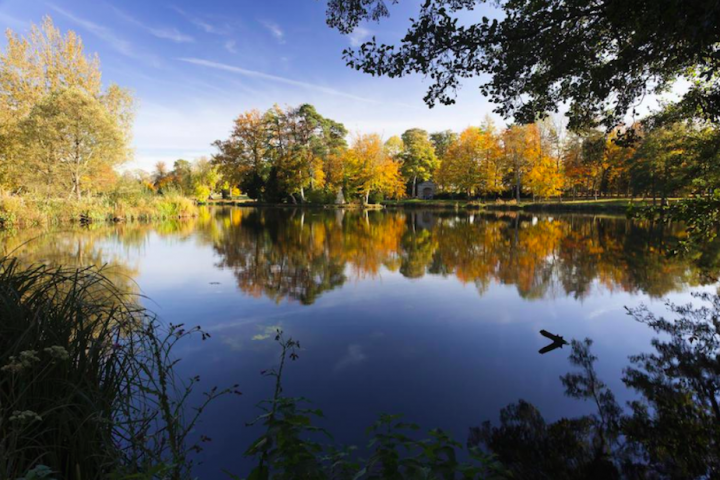 If you are on a child-friendly outing, you’re within spitting distance of Cotswold Farm Park, Adam Henson’s agricultural theme park which presses everyone’s buttons, kids and adults alike, with its cute furry animals, rare breeds, tractor safaris and beautiful setting. You’re obviously in great walking country too. There’s a lovely 3 ½-mile stream and woodland walk to Temple Guiting, another ur Cotswold village. Or if rural pursuits ain’t your thing, you’re only a 20-minute drive from Cheltenham with all the shopping possibilities that offers. 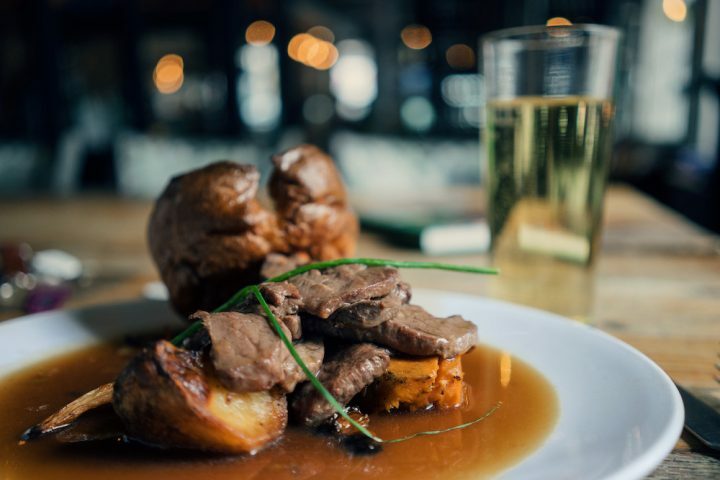 Good for: Families, couples, friends in search of an old-school pub with topnotch food that doesn’t feel stuffy. The outdoor area and quiet road out front makes it good for kids who still need half an eye kept on them. It’s a seasonal all-rounder too, serving up cosiness in the cold and a lively beach bar when temperatures rise. Not for: I can’t really see who wouldn’t like The Hollow Bottom. Committed urbanites maybe, who are allergic to the quiet of the countryside? The damage: In line with most pubs. 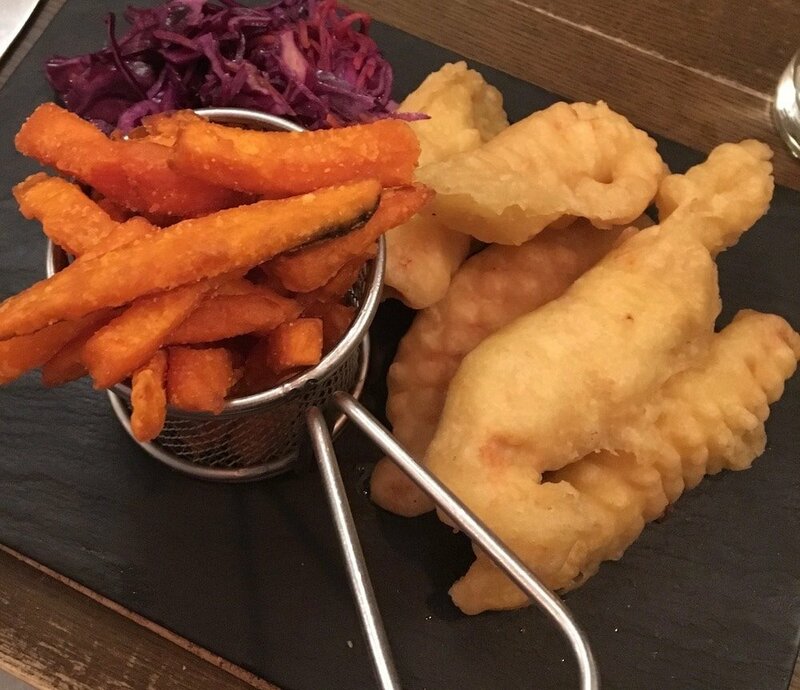 Starters come in around £7, you can get a wrap for just under £8, a pizza for £10 and a burger for £13.95, while main courses hover around the £14 pound mark too, and all puddings are £6.50. The kids’ menu, as mentioned, is great value at £6.